Yippee I am 10 months old now, there should be more prominent way to announce this milestone. Baby Tie Stickers can be one alternative. 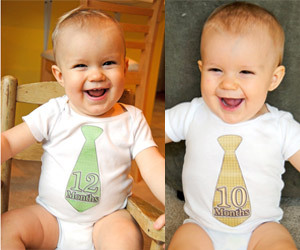 You can stick these month number sticker on baby’s t-shirt or body suit.